A High Quality, Low-Maintenance Portable Dust Collector Designed for CAD / CAM Milling of Dental Implants, Crowns, Bridges and Other Items with an Advanced Long-Lasting High-Volume Bag Filter and HEPA Filter for Quiet, 99.997% Removal of Dust and Particles as Small as 0.3 Microns--all at a Deep Discount Price with Free Shipping! Only 5 Left--Order Soon! Best for: Dental Milling, Dental Manufacturing, Medical Prosthetic Manufacturing and Similar Applications. BOFA’s DentalPRO Ride On Base dust extraction system effectively removes smaller particulates generated during the CAD/CAM milling of dental implants, crown and bridge manufacturing, etc. The unit is designed for a CAD/CAM milling machine to be securely placed on top of the extraction system, which itself doubles up as a space saving stand. The unit’s high efficiency two stage filtration process allows technicians to work safe in the knowledge that dust particles are being effectively removed, to maintain a clean working environment. The bag filter has a large 18 litre capacity and the HEPA filter has an efficiency of 99.997% down to 0.3 microns. The high vacuum pump is brushless and designed for continuous running, which can run for in excess of 30,000 hours before requiring servicing. 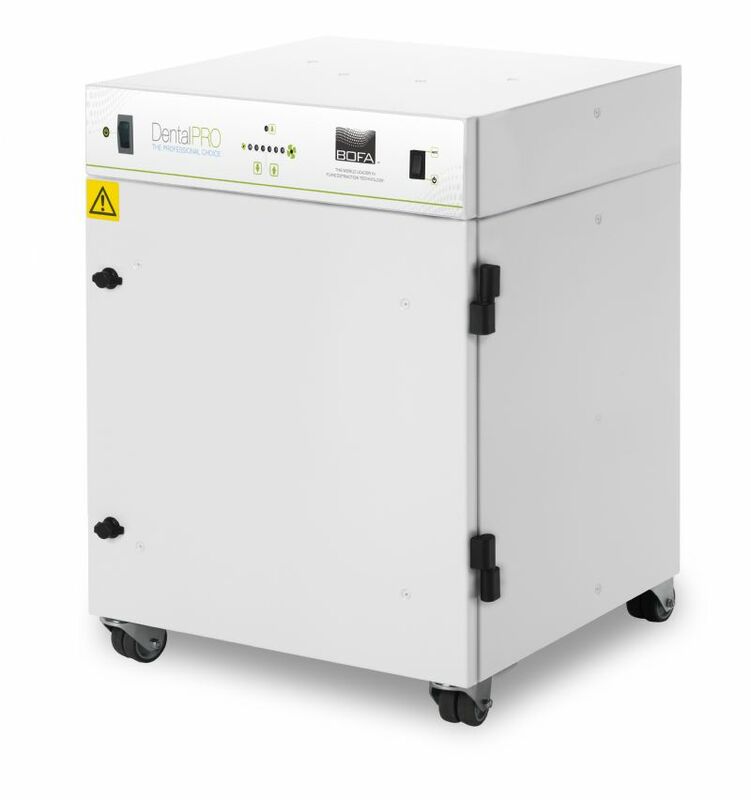 Order your DentalPRO Base Dust Collection System here at a discount online sales price and enjoy quiet, dust-free working conditions in your dental manufacturing laboratory or other facility! In addition to higher performance, better, longer lasting filters and lower maintenance, BOFA provides the ultimate in value by ensuring quality and long life by sending each and every product through their rigorous 17 step SureCheck quality control system. So if you want the very best, light duty fume and dust extraction system designed specifically to work with laser systems, order your AD-350 Laser Fume & Dust Extracation System today for years of trouble-free dependable, consistent performance. When you buy your money and energy saving BOFA Americas air filtration products from us, you get a brand new unit, at the best possible price, with BOFA Americas's amazing 3 year warranty. Our innovative partnership with BOFA Americas allows us to ship directly from their warehouse, which cuts out the middle man and eliminates the high operating costs of traditional brick and mortar big box stores. 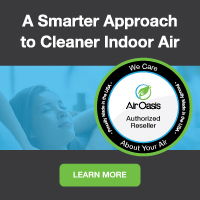 These savings get passed directly to you, allowing us to offer brand new allergy and asthma symptom-eliminating BOFA Americas air purifiers and filters at the best possible everyday cheap discount online sales prices. And buying from us is definitely better than direct. If you buy direct, you'll have to pay shipping. Buying from us, however, you always get fast free ground shipping as our thanks to you for shopping with us. Add Start - Stop Feature? Add Standard 4" Hose Connection Kit? Add Filter Change - System Fail Indicator?